A fin tube is a tube that has small fins around the outside surface. These fins act as a filter and a mechanism to transfer heat from the material inside the tube to the outside space or vice versa. 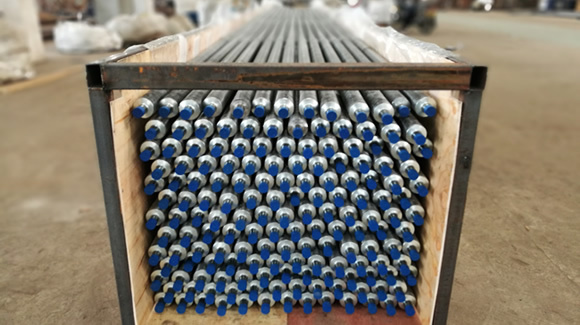 Fin tubes are used in applications that require a transfer of heat from a hot fluid to a colder fluid through the tube's wall. 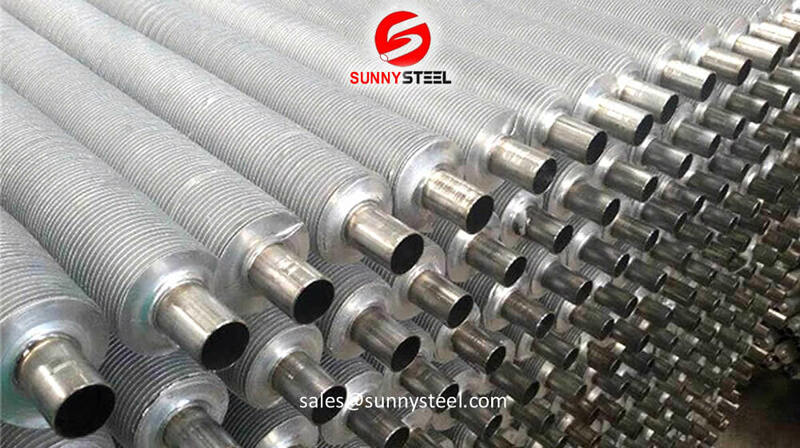 Sunny Steel provide a wide range of fin tubes are used in heat exchangers (air, water and chemically cooled) for various industries such as petroleum, petrochemical, steel, power generation and many more. 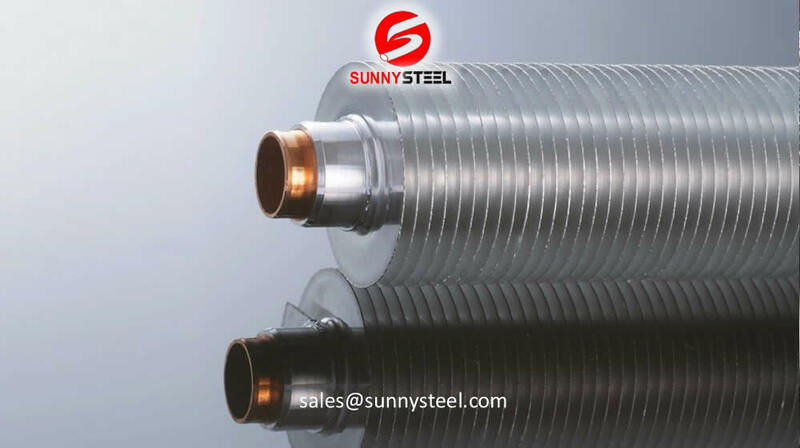 What kinds of finned tubes are used in air cooled heat exchanger? 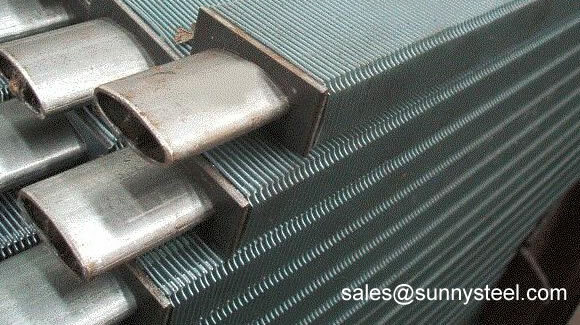 Why Use a Fin Tube in heat exchanger? 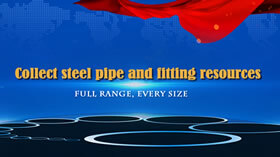 Why boiler use Finned Tubes? 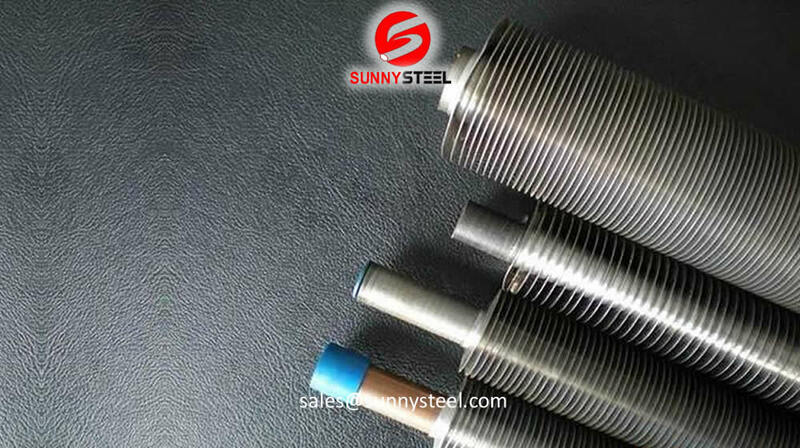 Why use Stainless Steel Fin Tube? We offer multiple fin styles, all with different specs and operative requirements. 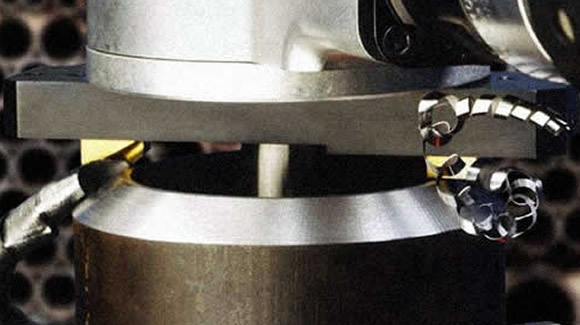 Fin strip is wound & embedded on a groove and securely locked by closing the groove with the base tube metal. This ensures maximum heat transfer at high temperatures. 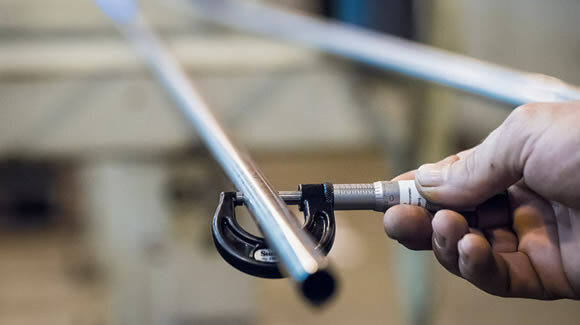 We offer you a broad portfolio of materials and can expand our offering at any time to meet your specific needs regarding thermal conductivity, mechanical properties, or corrosion resistance. 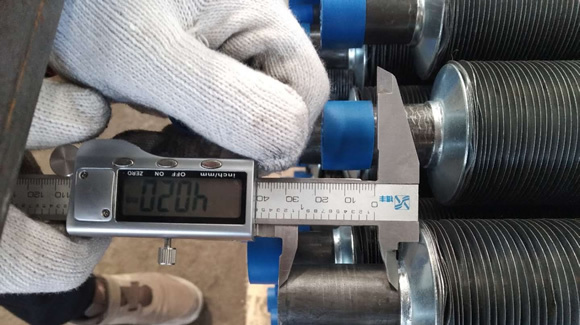 Expansion joints are used in all kinds of different sectors and in a huge range of different industrial contexts. 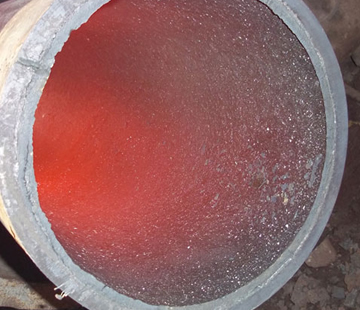 Essentially, wherever there is a need to control pipework movement expansion joints are required. Can you assist with the design for my application? We are a pretty proactive bunch. So, while we do charge a small fee per design to cover our costs, we absorb these costs when it is for a regular customer or where we are working jointly on a project. We also refund the fees in case it is followed by an order. Why do Pin fin tubes weigh less than L type fin tubes? Pin Fin tubes are made from wire. 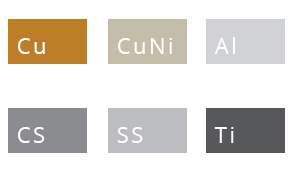 Being cylindrical, wire has a larger area per unit of weight than the strip used in L type fin tubes. Also, due to the looped nature of the wire, less material is put on the tube than in the case of L fins. 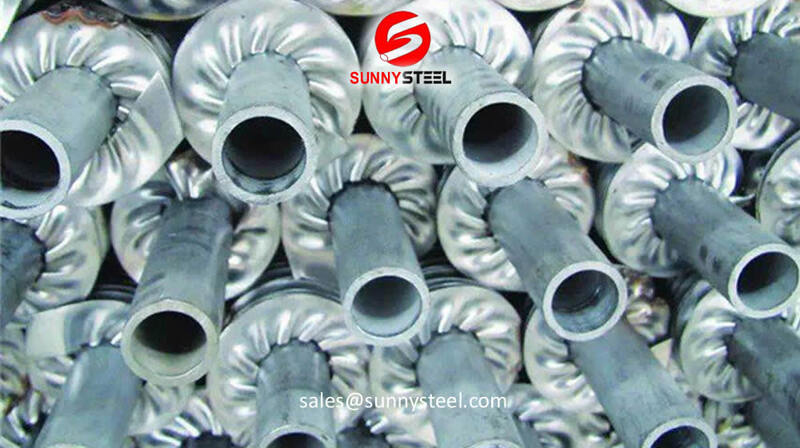 Consequently, the surface area of fins per meter of tubes is also less. However due to the superior turbulence created by the looped wire the actual heat transfer per meter of tube is significantly higher than in the case of L Type Fin Tubes. All of this together contributes to the weight differential between wire wound fin tubes and L Type Fin Tubes. In the case of similar metals, it is weighing half and in the case of Aluminium L fin vs. Steel wire fin they weigh about the same. The higher performance S5 pin fin tubes have an airside heat transfer performance per meter of tube that is 250% of the L type fin tubes. 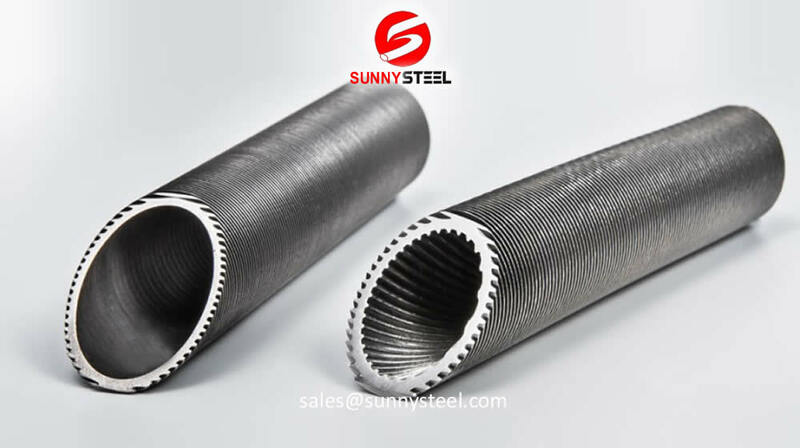 Can Sunny Steel supply my fin tubes? Yes. A lot of our customer choose to supply their own pipes or tubes, however, a lot of customers ask us to supply them and we are happy to accommodate! We stock various sizes and if we don’t have what you need we can bring it in from one of our many suppliers. 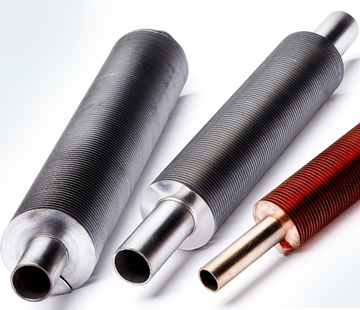 If you would like us to include the pipe or tube material in your order, please indicate that when you request a QUOTE. A continuous helical fin is attached to the base tube by high frequency electric resistance welding in order to give an efficient and thermally reliable bond. Fins can be either solid or serrated (segmented). 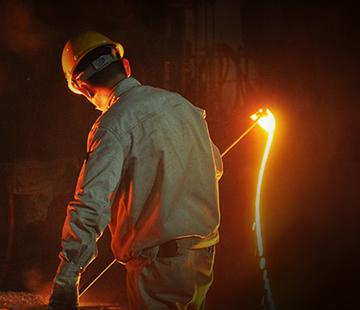 The weld produced in this process is a true forge, blacksmith weld. This type of weld is comprised of a fusion between two portions of parent metal without the introduction of a filler material. 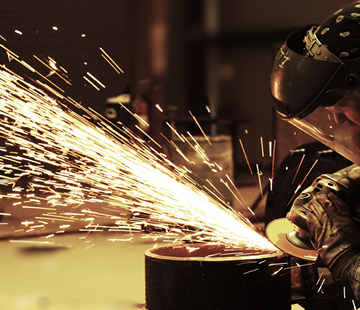 The weld is simply produced by heating the interfaces to be joined to a plastic state and applying pressure. Used in boilers, furnaces and fired heaters for efficient heat recovery. 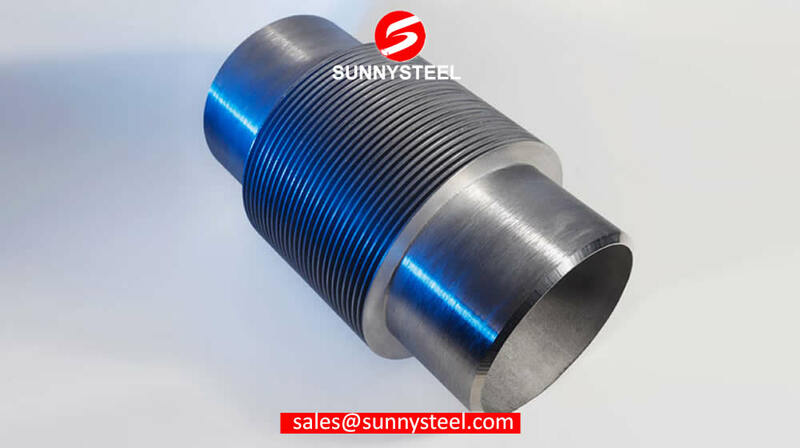 The main uses for high frequency welded finned tubes are in the heat recovery associated with boilers for power generation and in furnace applications for the petrochemical industry. 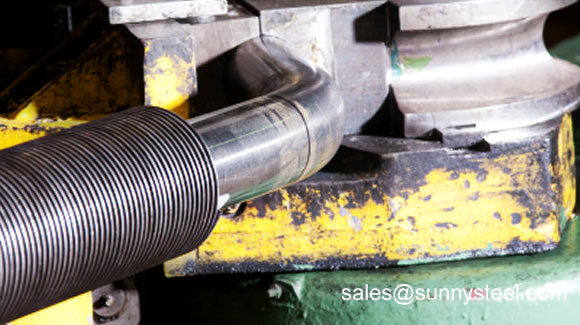 Our finning machines are equipped with online single or duplex cold bending equipment that can manipulate both ends of tubes in a single operation, thus ensuring exact alignment of the ends. Do we stock fin tubes? We do not. Our market lends itself to customer designed products, each special in itself. 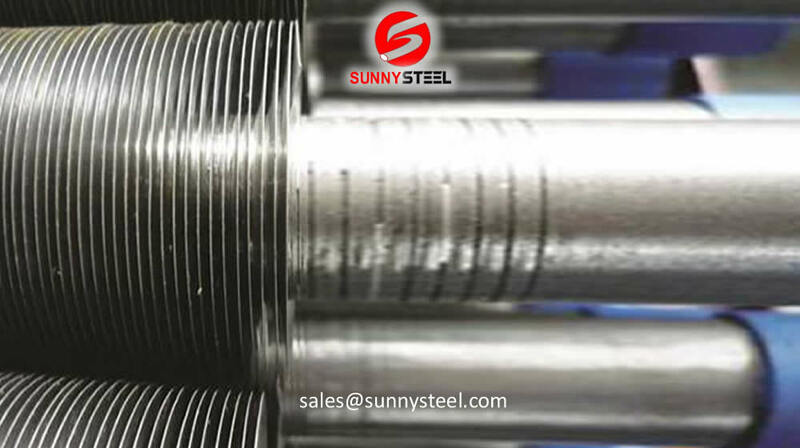 The number of combinations of diameter, overall length, materials and fin specs are too vast. 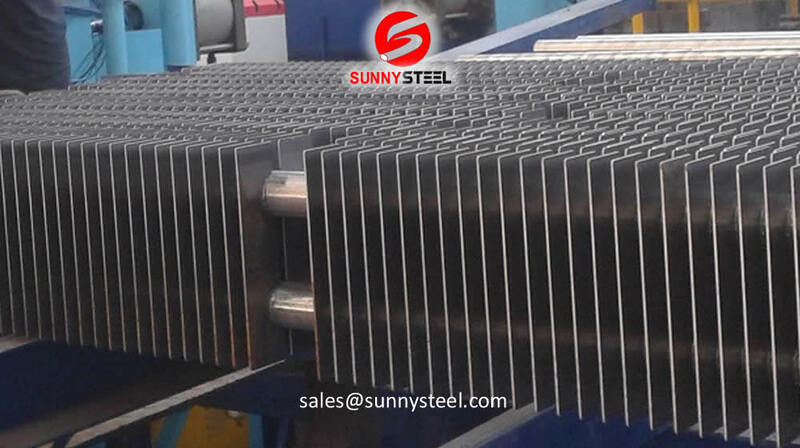 Sunny Steel builds each finned product to each customers needs.